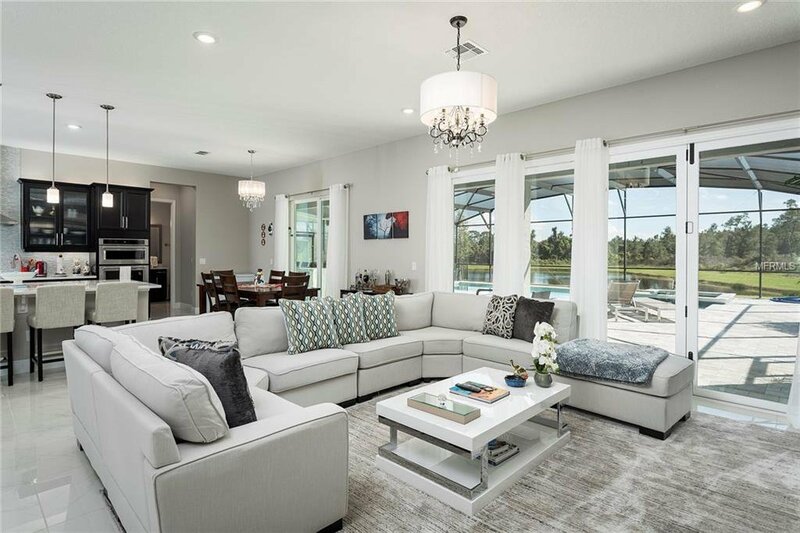 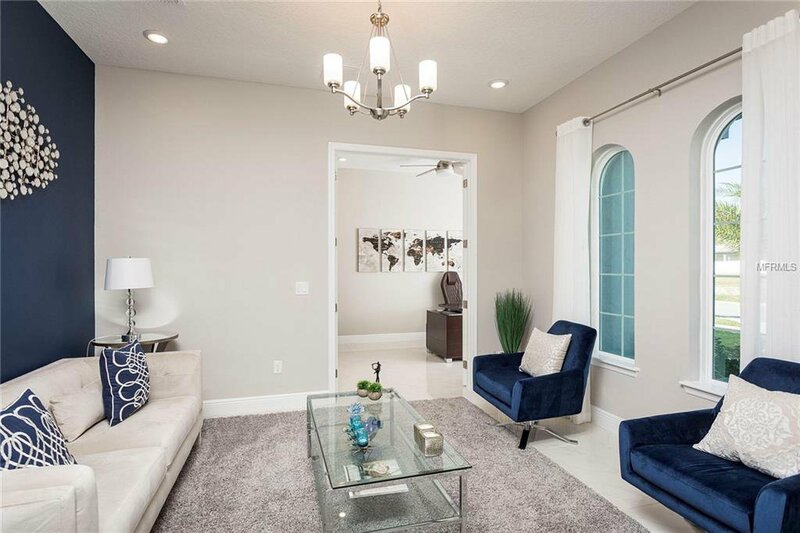 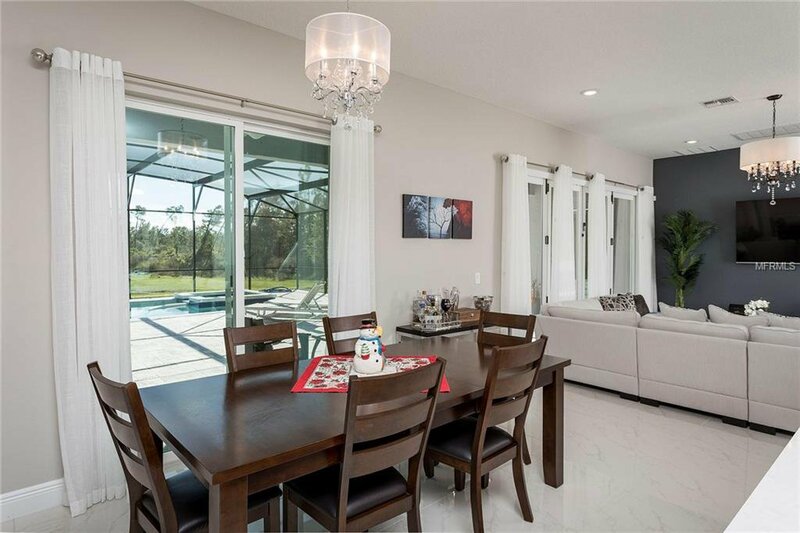 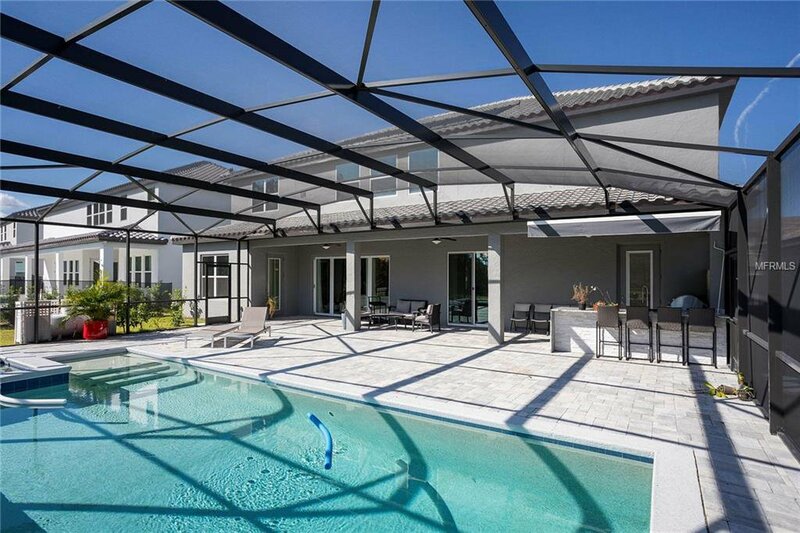 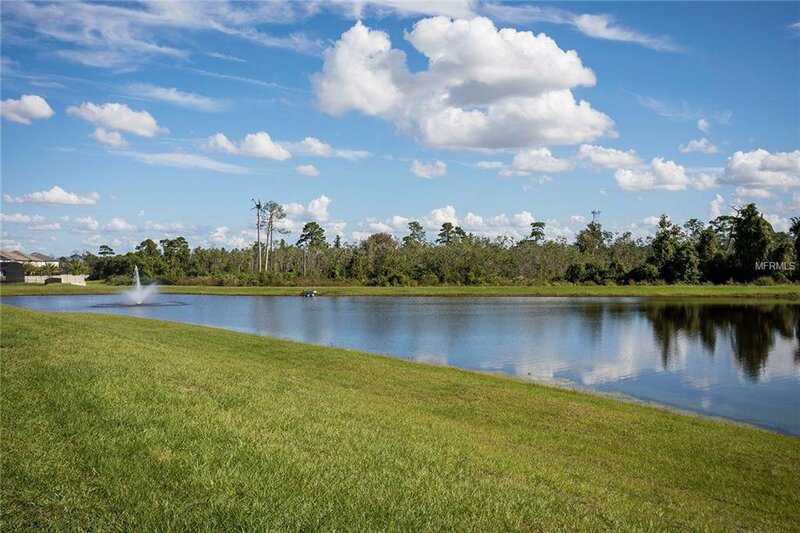 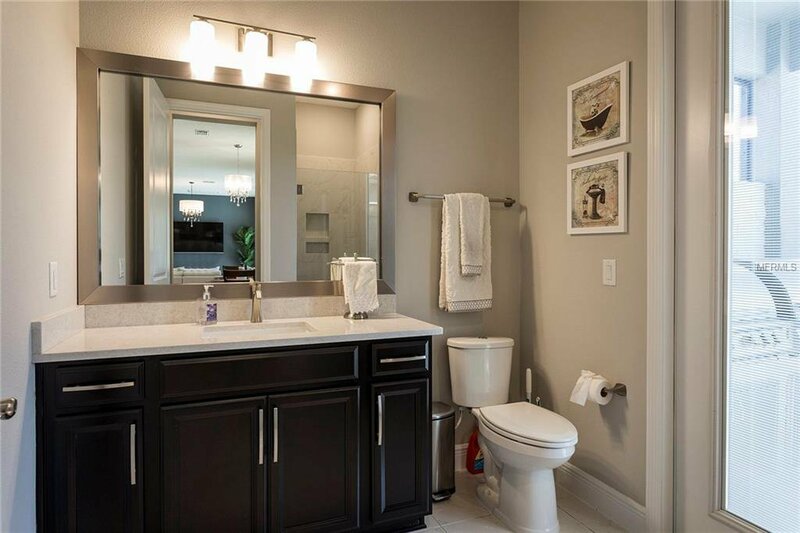 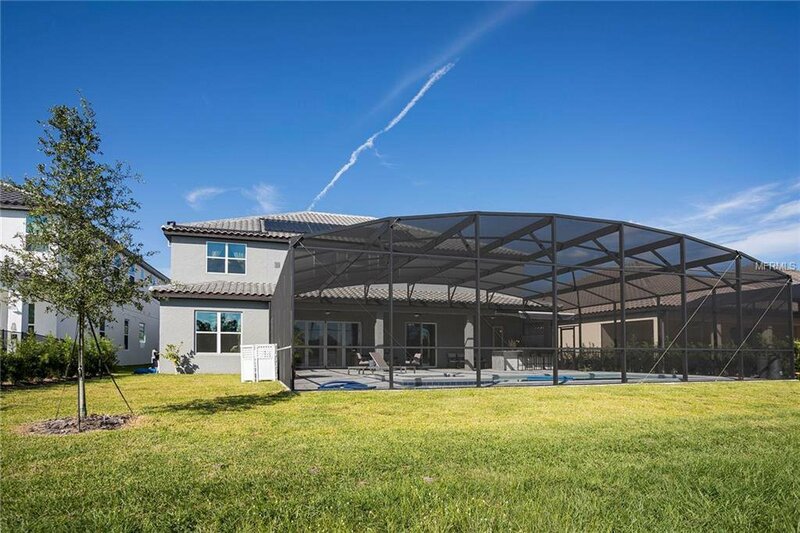 Absolutely gorgeous home at the gated community of Estates At Parkside. 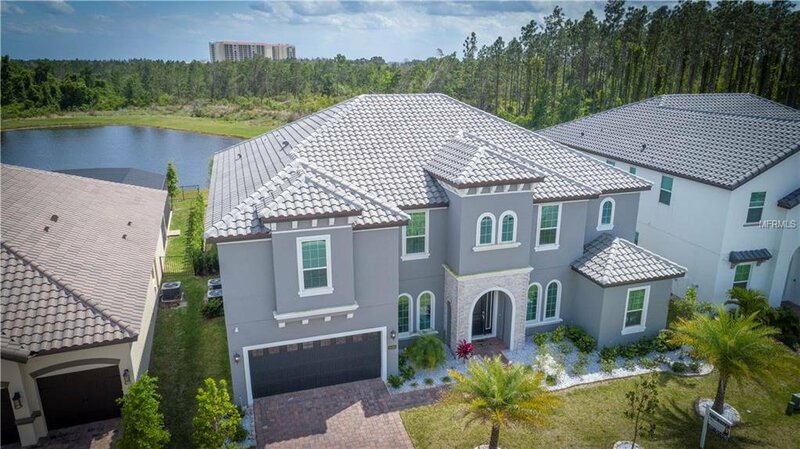 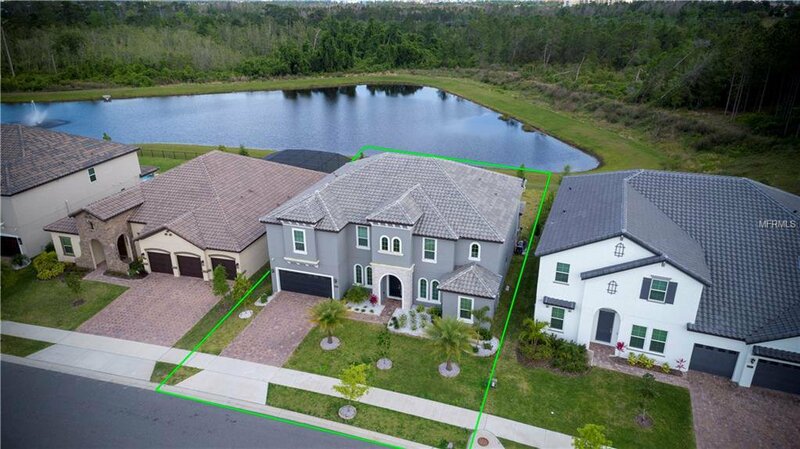 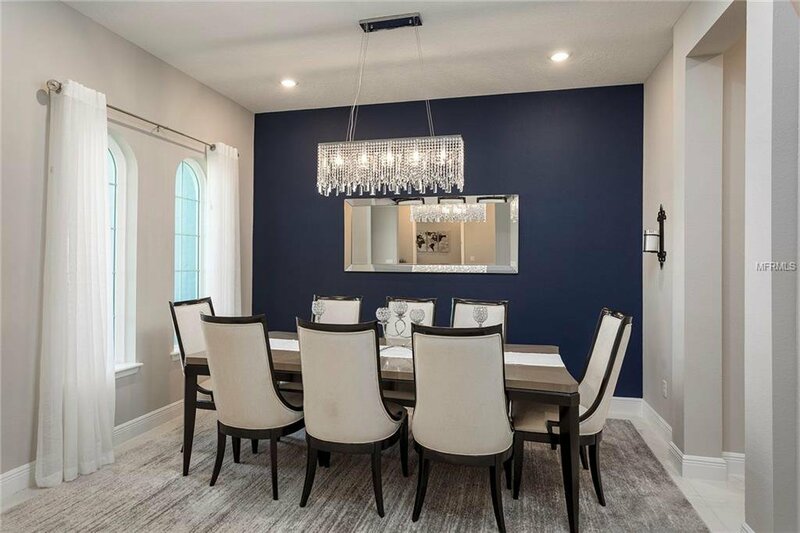 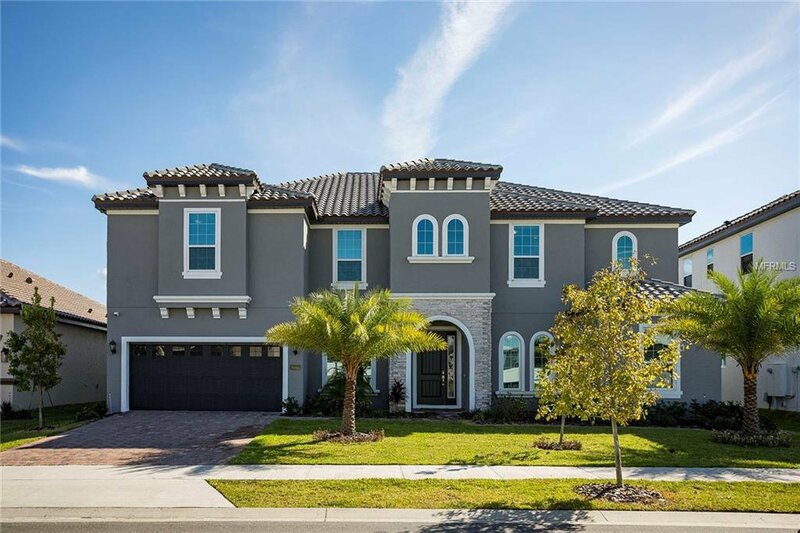 With over 5,000 sqft, high-end finishings and fully furnished, this home boasts 5 bedrooms, with 2 masters bedrooms and 5 bathrooms. 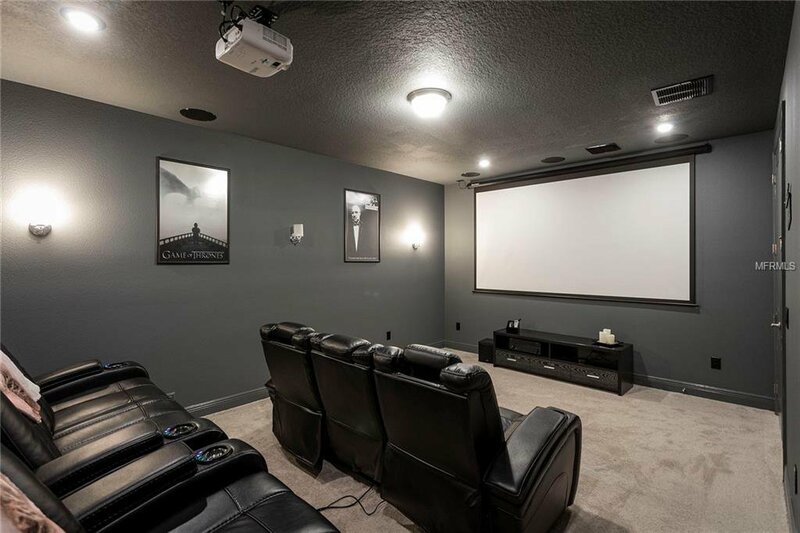 Lots of luxury upgrades. 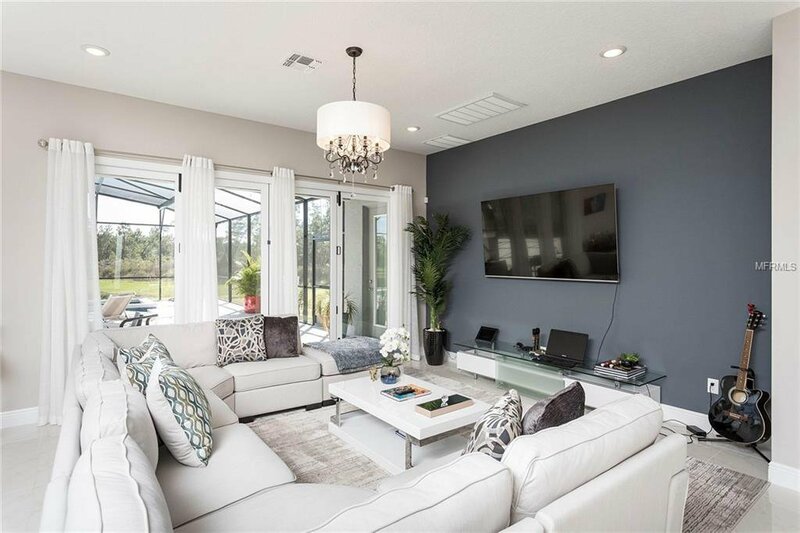 The amazing welcoming entry and elegant foyer reveal the spacious great room, dining room, and desirable luxury outdoor space beyond. 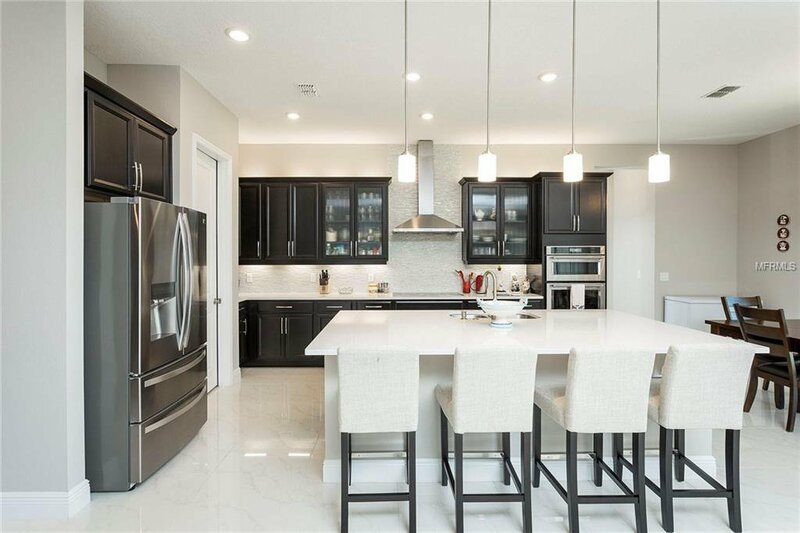 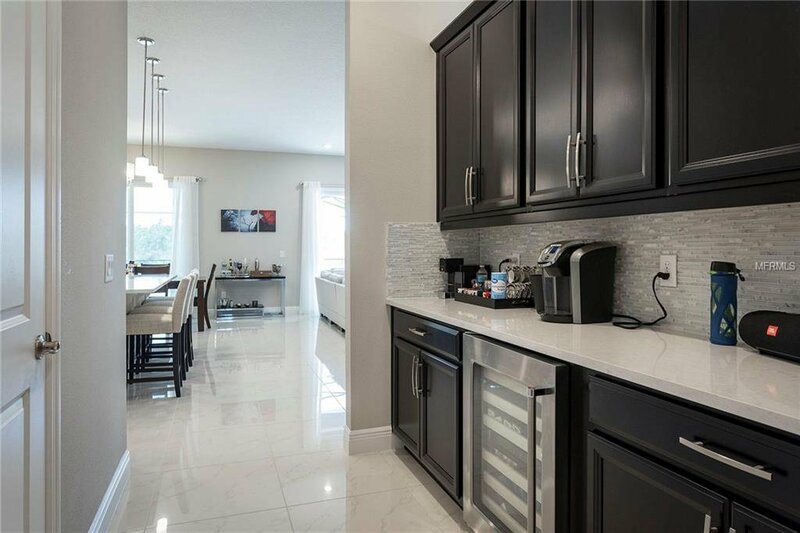 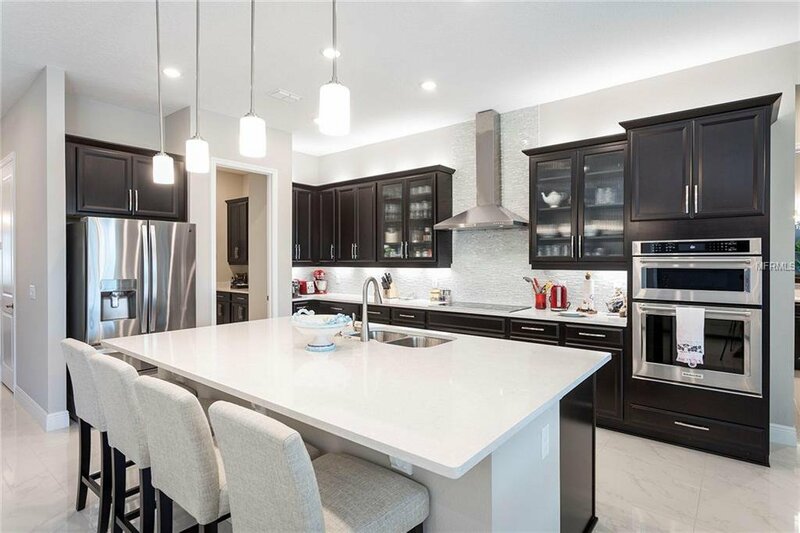 The well-designed kitchen is equipped with a large center island with a wraparound breakfast bar, ample counter and cabinet space, and generous dual pantries. 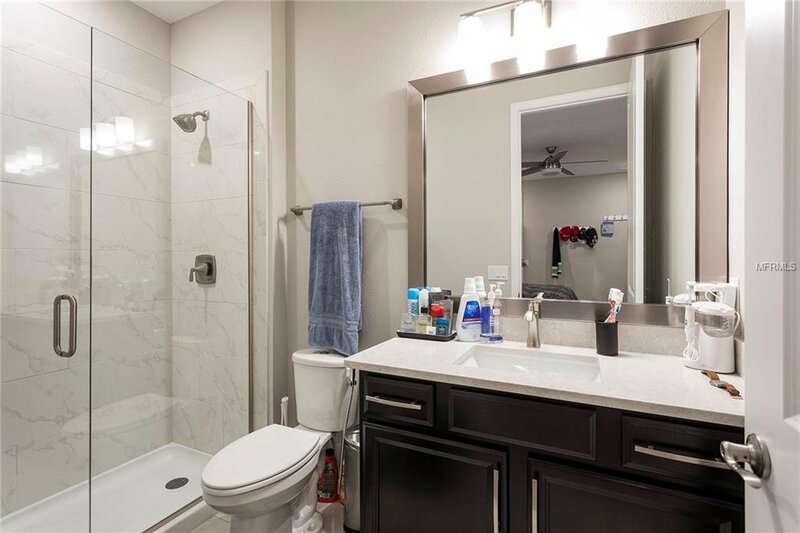 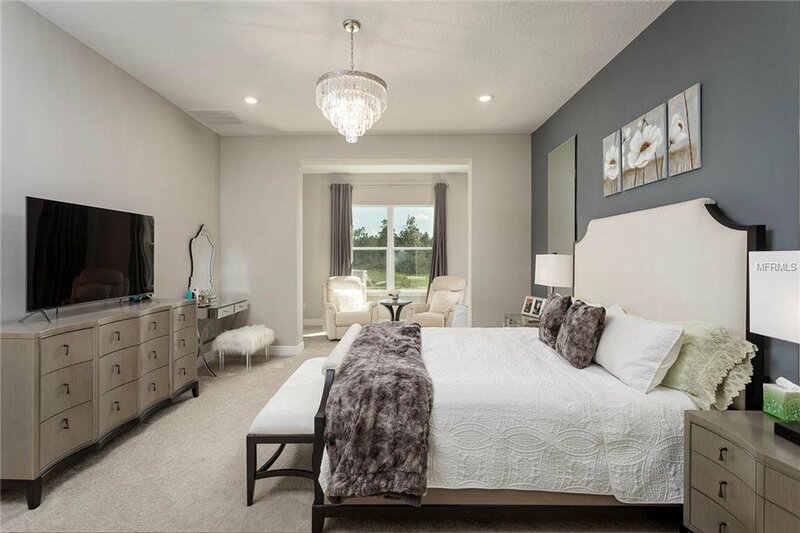 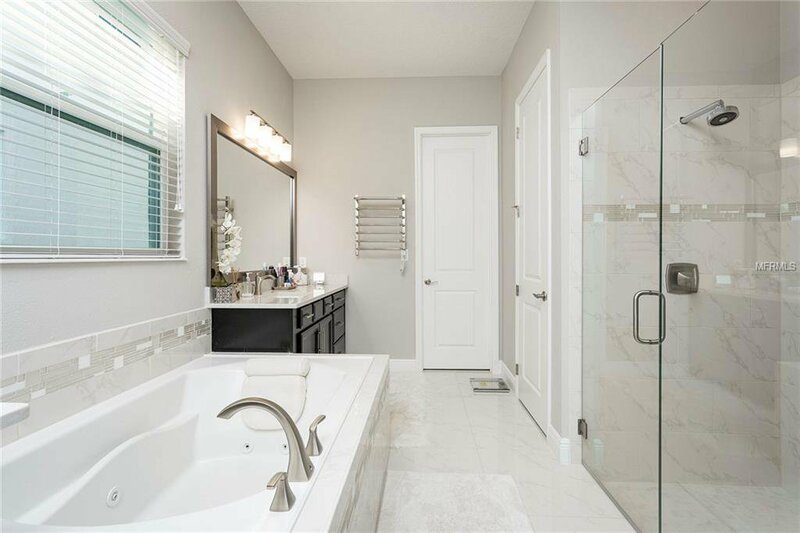 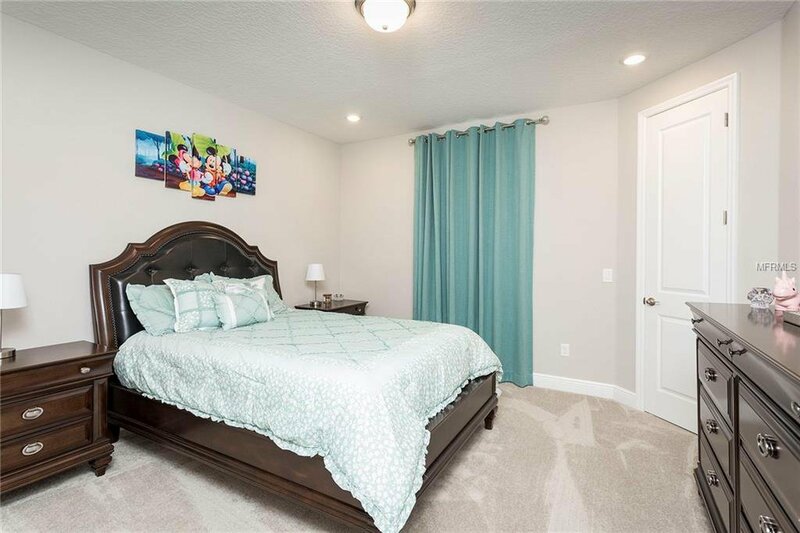 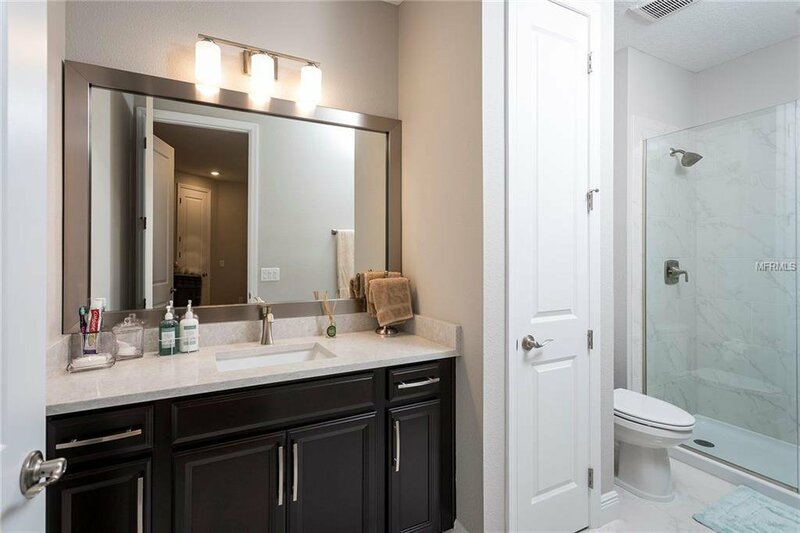 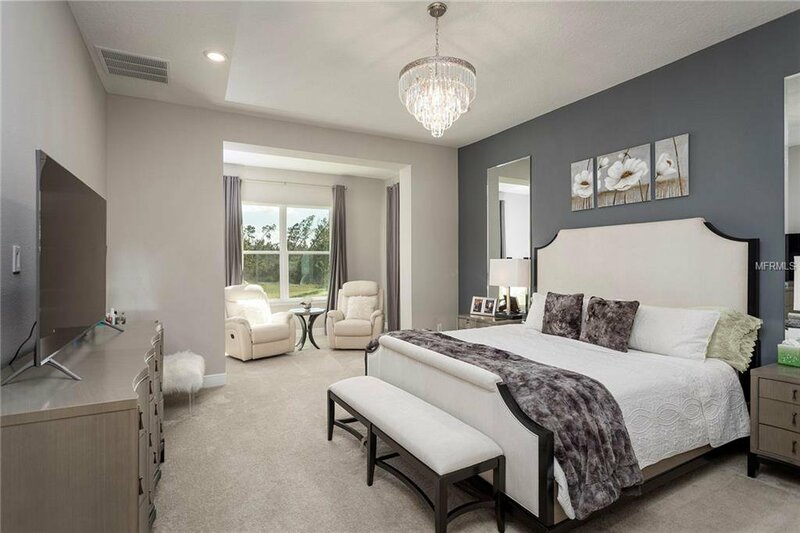 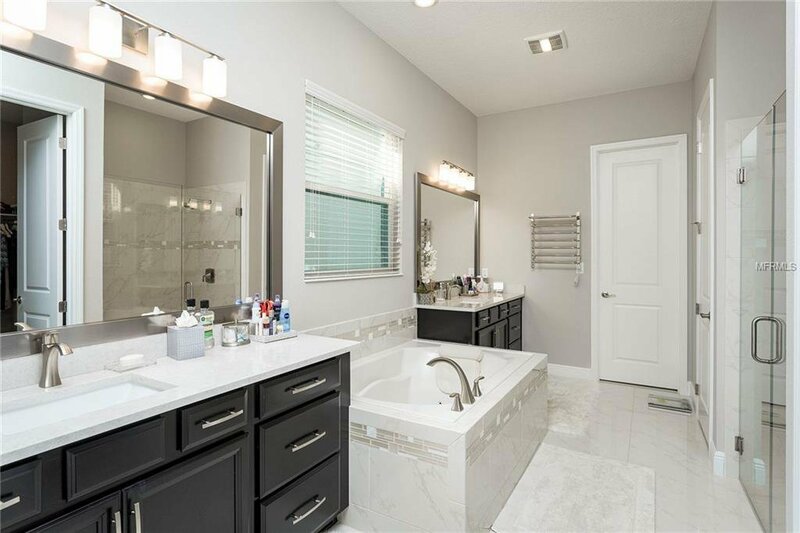 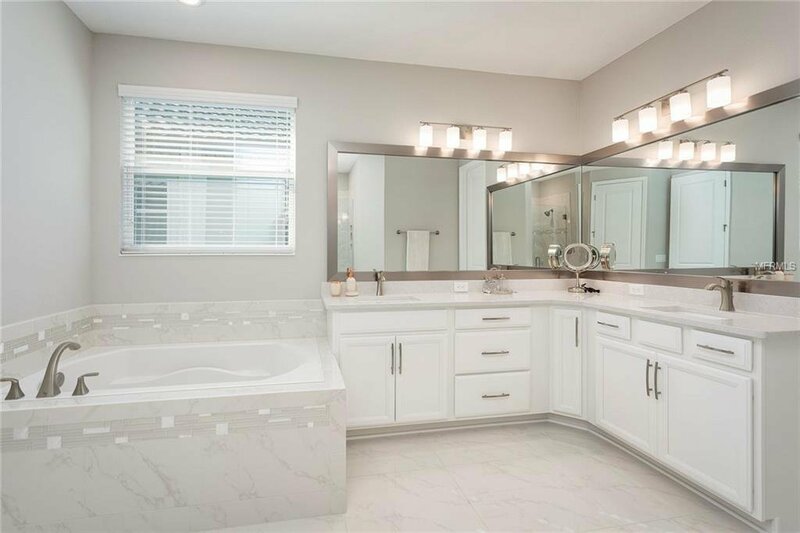 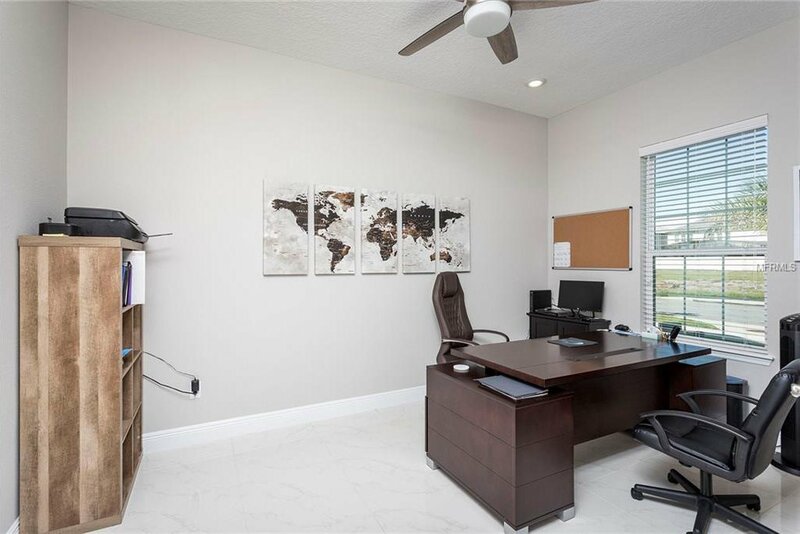 The beautiful master bedroom is highlighted by a private sitting area, perfect picture view from the lake and huge walk-in closet, and deluxe master bath with dual vanities, large soaking tub, luxe glass-enclosed shower. 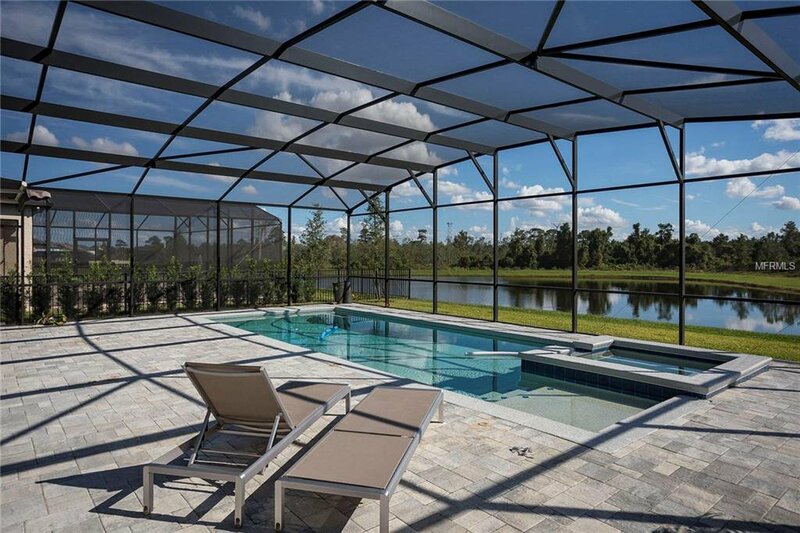 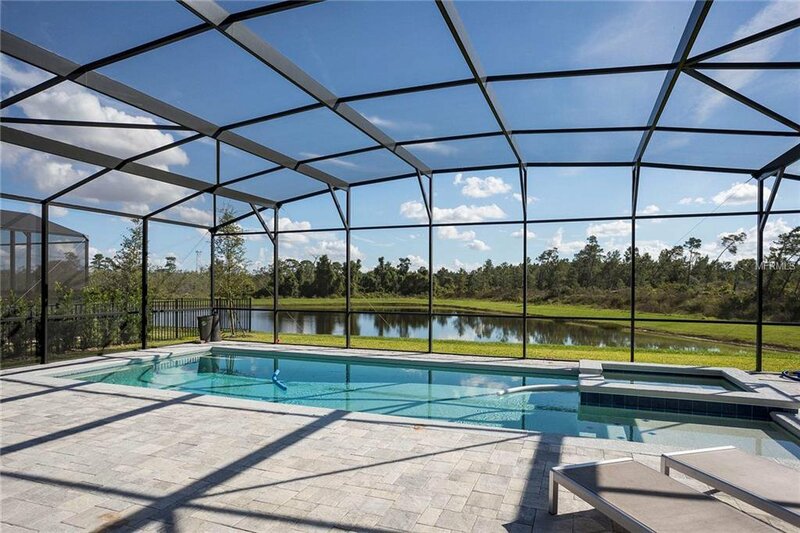 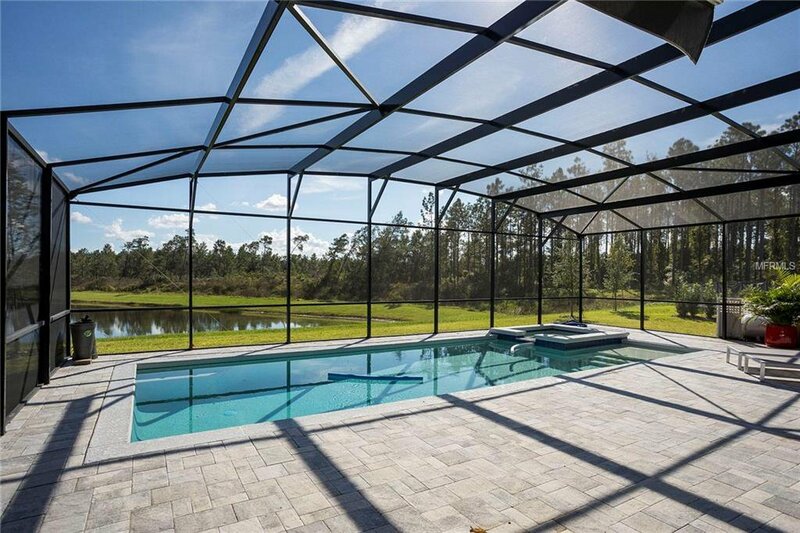 Extended lanai and generous space all brick paved patio, screened gas heated pool with spa. 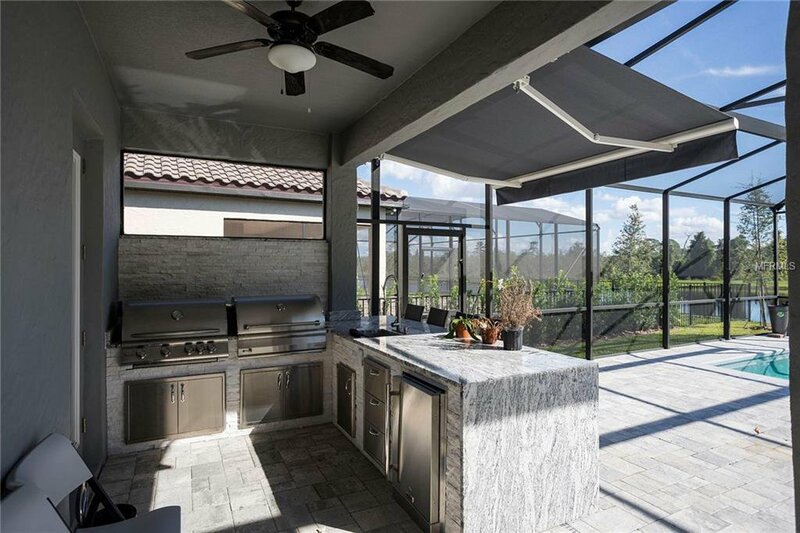 Contemporary summer kitchen with double grill (gas and coal), prep area and waterfall style counter top stone. 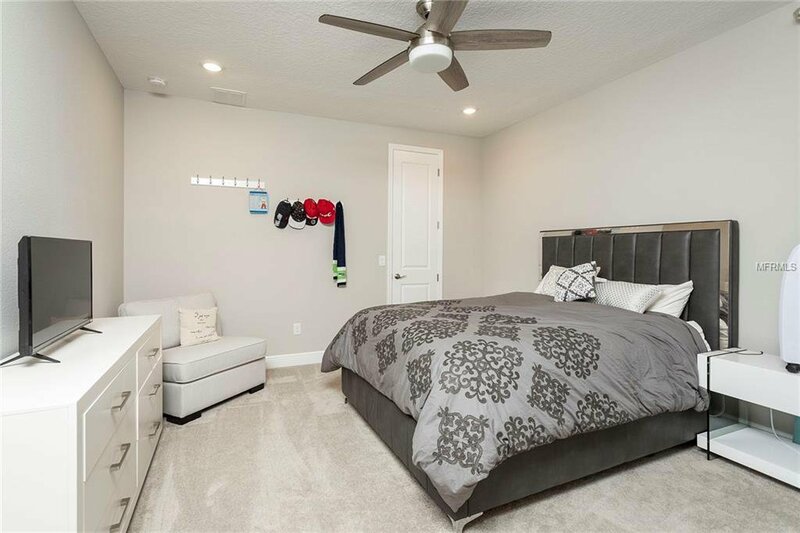 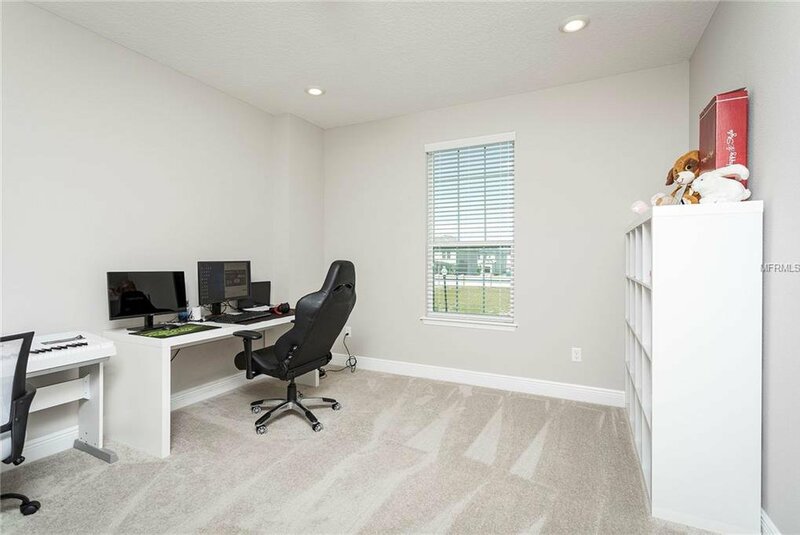 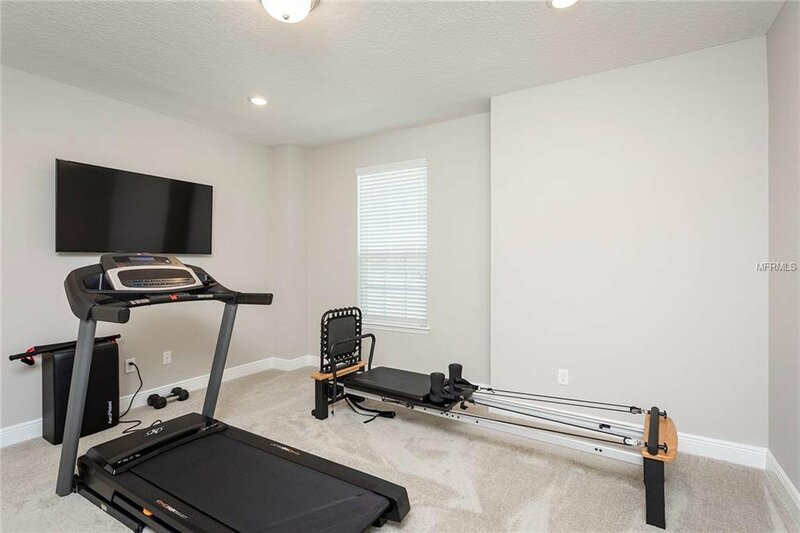 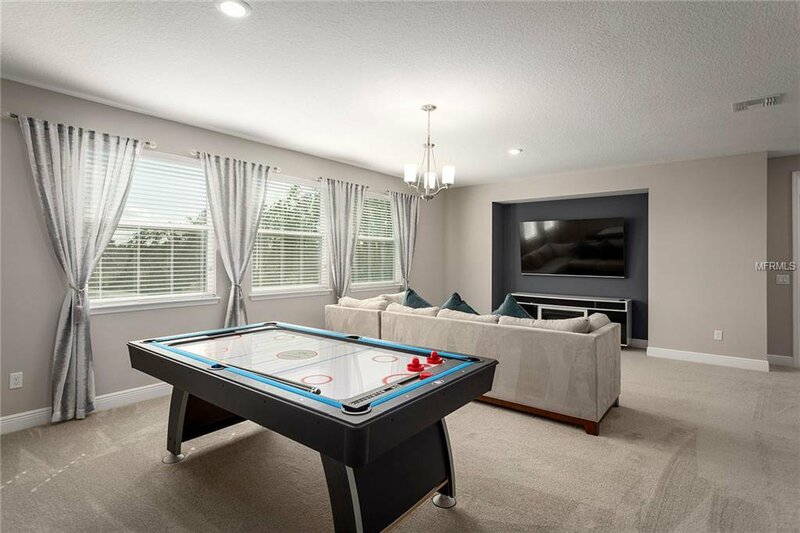 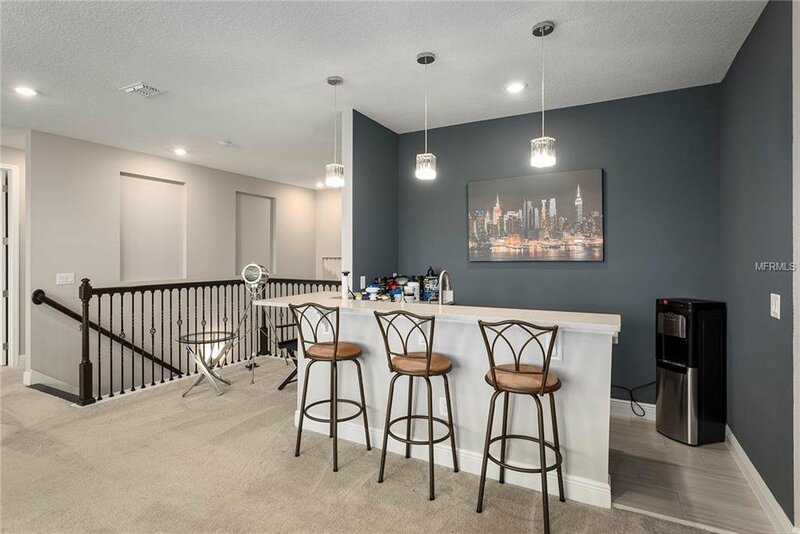 Additional highlights include an oversized game room with wet bar and stadium fully equipped, state-of-the-art media room upstairs, guest bedroom with roomy closet and private full bath, convenient powder room, drop zone, and a conveniently located laundry.